You may not know this but i absolutely love doing little crafty/DIY in my spare time -- unfortunately, I don't have much spare time so it's hobby that I've neglected a lot - I really must change that. I was contacted by a very lovely lady asking if I'd like to try something from the Kirstie Allsop Craft Range from Hobbycraft and as a big fan of bath bombs it only seemed fitting that i opted for the Lavendar Bath Bombes Kit*. I've tried quite a few new products this month as well as rediscovering some old gems that I'd forgotten about in the back of my drawer. I've had quite a hectic month this month and not in a good way either so I've been wearing pretty much wearing the same products most of the month. I really like The Body Shop but i always find myself really overwhelmed by the choice of products they have and more often than not i leave without getting anything because i just can't choose what to try. Saying that though, the few products that i have tried from there I've enjoyed a lot. 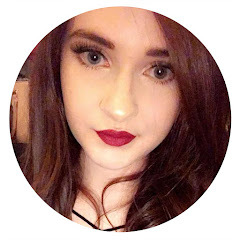 I've been blogging for over three years now so i feel like I've had a quite a good experience of blogging and that I've seen a lot happen and change within that time. Obviously everyone's experience with blogging is different and people take different things from it but i thought I'd share with you some of the pros and cons of blogging - or at least what i consider to be the pros and cons. Benefit's newest release is their Roller Lash Super Curling and Lifting Mascara (due out on the 26th February 2015) i was lucky enough to get my hands on Elle Magazine this month which is giving Benefit Roller Lash away as this months freebie - such a generous and genius idea if you ask me.